I was toggling back and forth with a purchase recently but after seeing this pic of Ciara over at theYBF.com , I'm gonna go ahead and scoop them up. 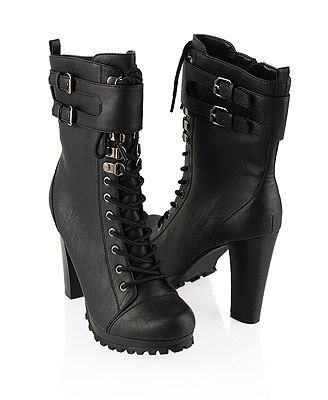 I think I've decided on this fashion boot above from Forever 21. This is a great price for this little trendy lace up and I'm just too excited.....literally. I hope they're comfortable but then again, that's what Dr. Scholl's is for, lol.